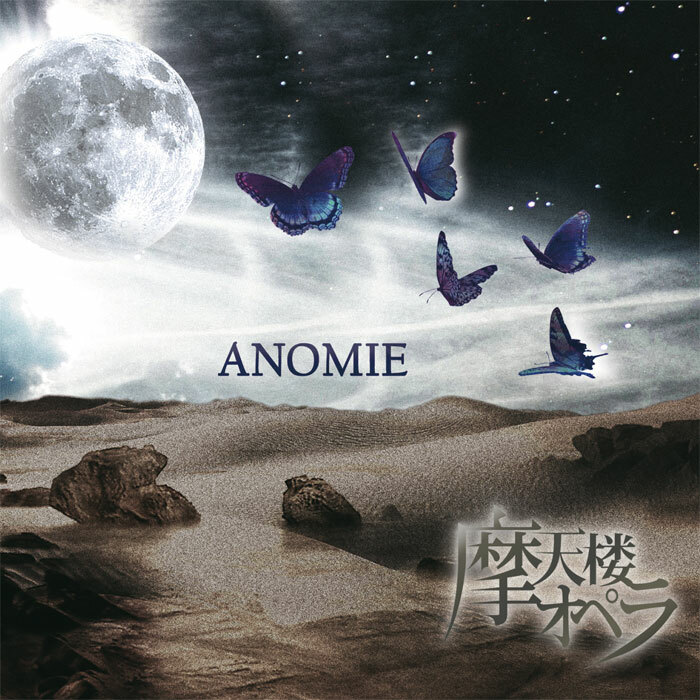 The newest album [ANOMIE] from the mysterious Metal-Rocker from Matenrou Opera enthrals listeners with fresh ideas and hard first-rate sounds. Besides the 13 songs from the original first Japanese pressing, this European Special Edition includes 2 exclusive extra tracks. On [ANOMIE] the five guys from Japan attract attention again with their great talent for really strong and expressive songs. Thanks to the great mixture of heavy metal and classic elements, the album presents itself as an unforgettable acoustic masterpiece you can’t get enough of! Matenrou Opera is a young band which blew everyone’s minds with their first appearance. The band was formed by the vocalist Sono and the drummer Yu in spring 2007. On the day of their first live concert they released their first single „alkaloid showcase“ which sold out in a couple of minutes. Matenrou Opera fascinates audiences and listeners with their dark yet stylish appearance as well as with Sono’s exceptional voice, which adds an exquisite uniqueness to the fantastic songs. The fans here already had the chance to witness Matenrou Opera’s great talents in performing at the Coupling-tour through Europe in April 2008 and hunger for more! Matenrou Opera – a great newcomer band which enthrals fans with their dark and mysterious atmosphere!